These plated brass barbell eyes are the quickest way to add weight and action to any pattern. 20 pieces per package. 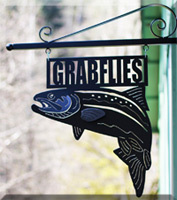 Great for Steelhead and Salmon Intruder patterns.